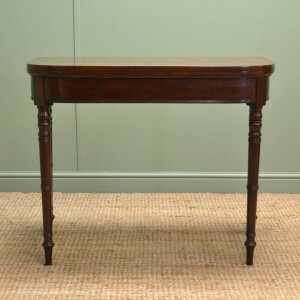 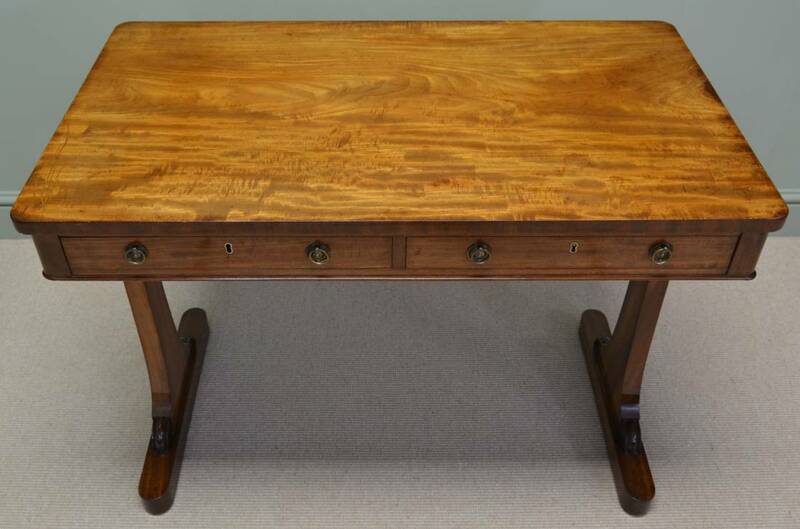 Aged to a Wonderful Mellow Shade of Mahogany, This Elegant Regency Antique Sofa Table dates from around 1830. 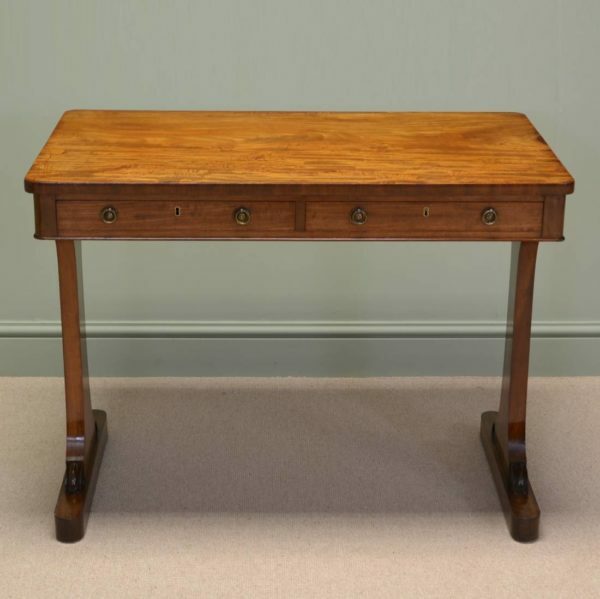 It has a beautifully figured rectangular top with rounded corners above two mahogany lined drawers with quality brass handles. 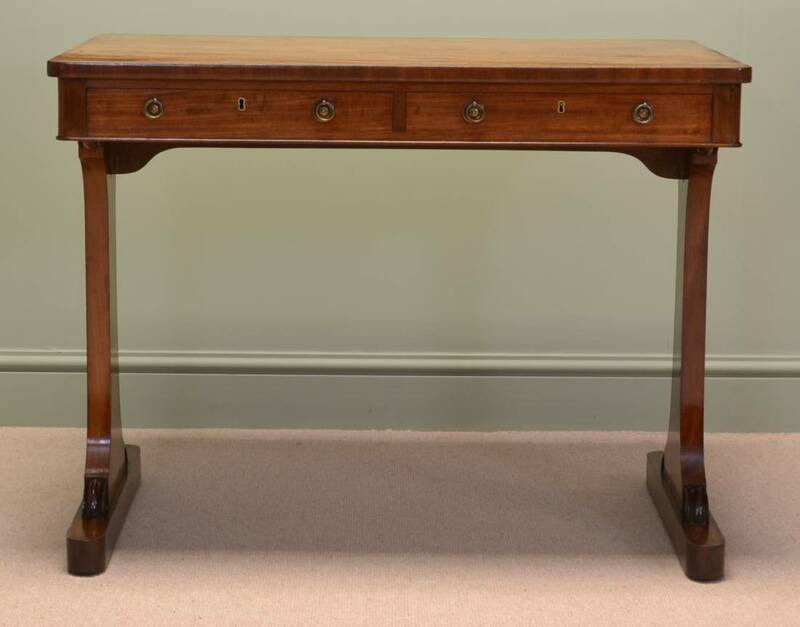 Aged to a Wonderful Mellow Shade of Mahogany, This Elegant Regency Antique Sofa Table dates from around 1830. 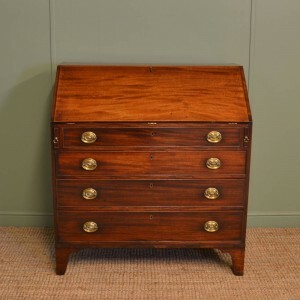 It has a beautifully figured rectangular top with rounded corners above two mahogany lined drawers with quality brass handles. 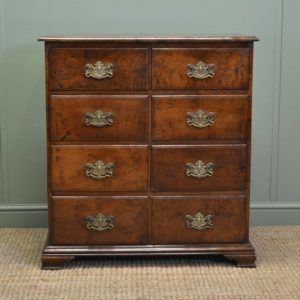 The opposite side is mirrored with two faux drawers so may be placed in the centre of a room if so desired. 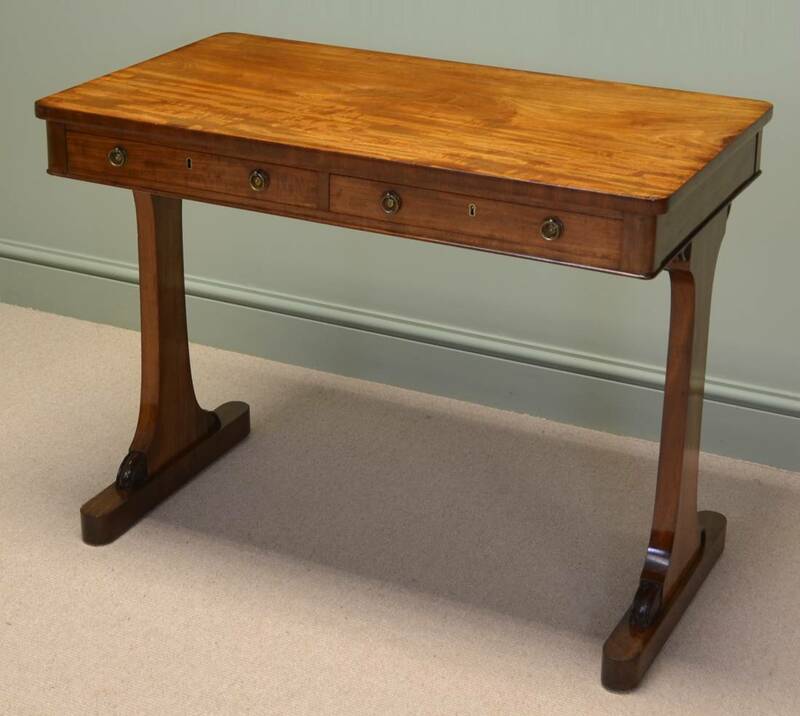 This stylish sofa table has elegant out swept sides and stands on concealed castors. 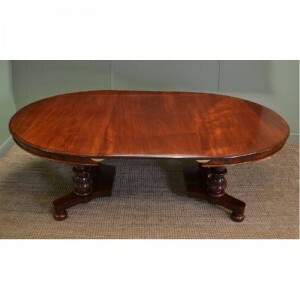 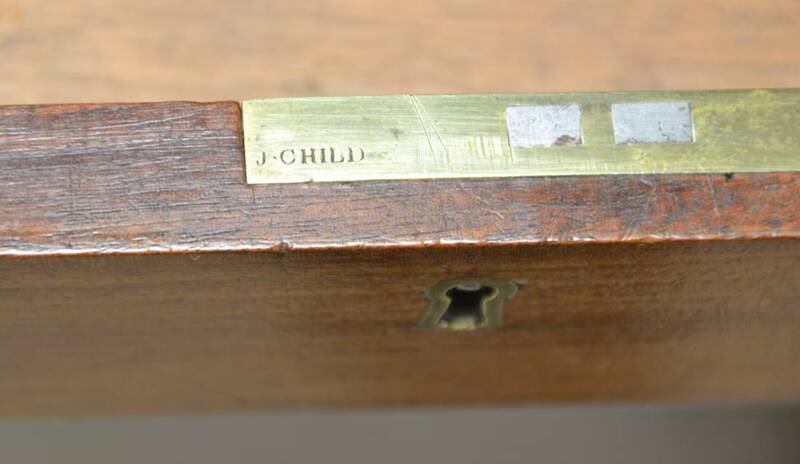 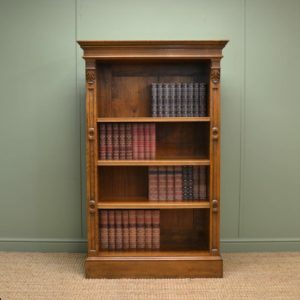 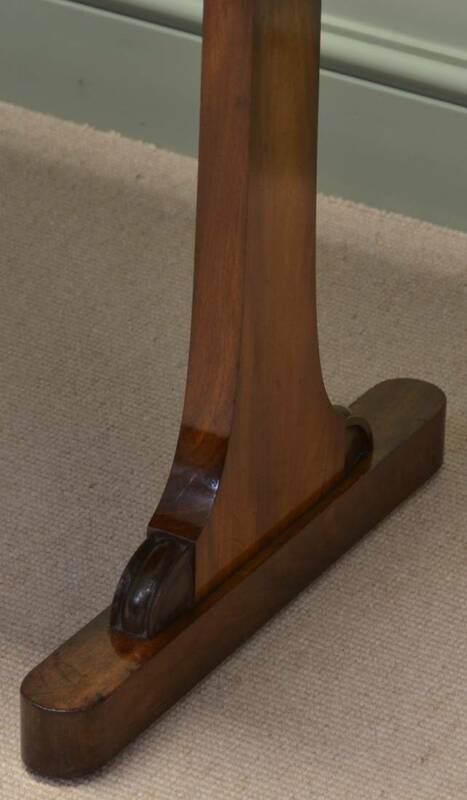 The mahogany has aged to a mellow shade with a striking grain, good patina, is in very good condition and has been beautifully cleaned using a traditional form of wax finishing.